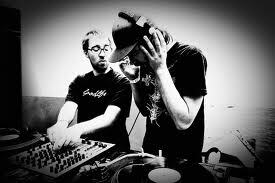 Session Victim is brought to you by DJs Hauke Freer + Matthias Reiling out of Berlin. Their remix of Biao's Sunburn Modern is released from their third and most recent host/label, Grecco Roman. This track has one of my favorite sounds ever in music: a bass that hums along almost as if a car with too- loud music were driving by. But it's subtle, and you barely hear it, and that is why it drives me crazy in such a good way. It's that wanting and these guys have perfected it to an intoxicating degree. Way older track of their's but if this is the first you've heard of them, take a listen. Mellow and funky.